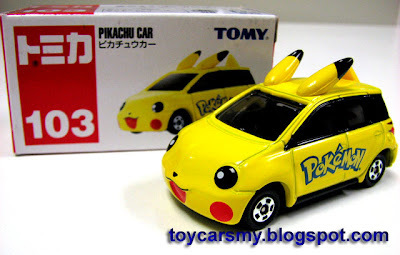 Tomica regular series is built based on real car models. 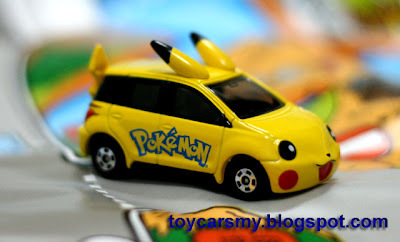 But there is a Pikachu car in #103, so is it a real car or fiction? 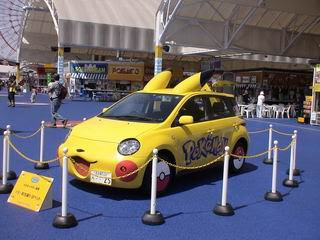 From the pictures took back to 2005, where the real Pikachu car was displayed in Japan, the Pikachu car is a modified Toyota car. It looks just as cute in real. Hehe... nice man the real thing. Oh, it's a Toyota Ist in case you were wondering. Cheers! 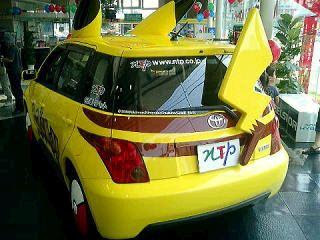 haha.. just when i bought one pikachu car today and what a coincidence i saw ur post! 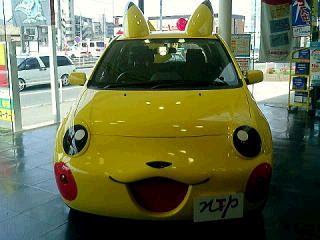 hehe.. i love the car its so cute! May I know whether this car is still available?